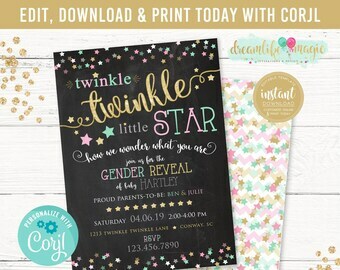 This listing is for the digital printable invite as shown above! We customize the file with your provided info & you print as many as you need! ►► 4x6 or 5x7 JPG format file (perfect for photo lab printing or sending via email/online to your guests). ►► 8.5x11 PDF format file. 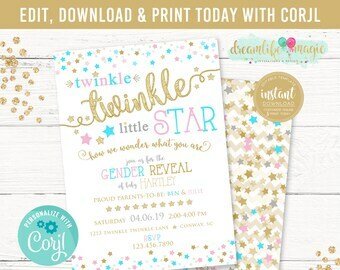 The PDF will have 2 invites per page (perfect for at home card stock printing or Kinkos, Staples, or Office Depot card stock printing). * Coordinating backside design for digital orders is $5 more. View the options from the drop down menu for selection to purchase both. (Please make sure your printer can print double-sided before you order). * No printed materials will be shipped. 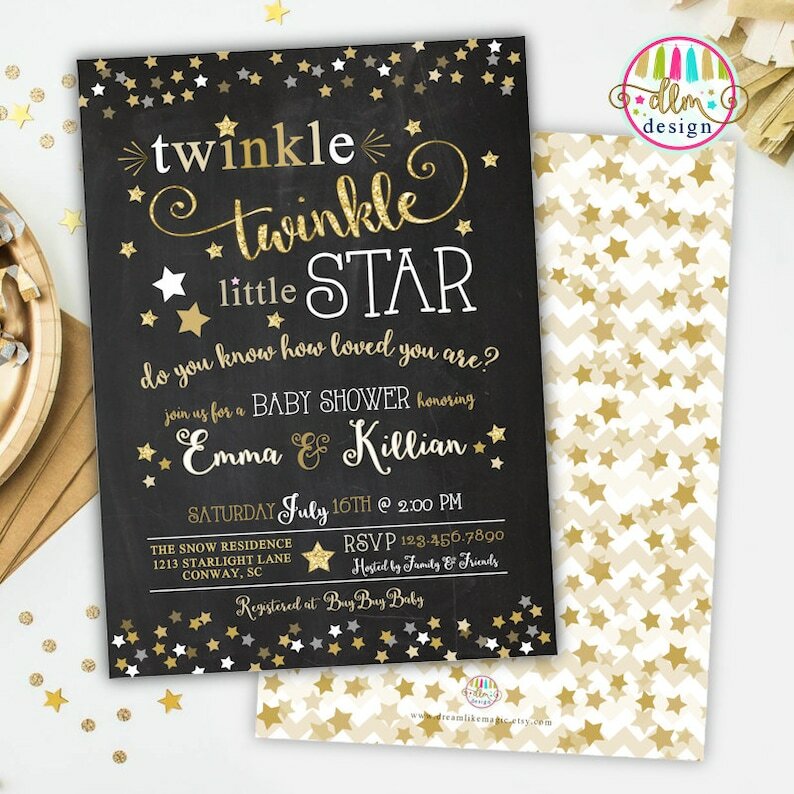 The 'glitter' is an effect and your printed invitation will not actually have glitter on it. ♥♥ ORDERING IS SUPER EASY! Awesome job. Did everything I asked.